Singapore is a city-state that’s known for its low crime rates as well as strong penalties for what are usually considered minor offenses in other developed nations. Sure, vandalism carries the possibility of caning as a punishment but if you have any sense, you won’t be spray painting cars in foreign countries anyway. Putting aside things you know not to do no matter the penalties, the following offenses in Singapore have punishments you might not be expecting. It’s best to brush up first, as fines are hefty at best and jail is, well, jail. Until 2004, gum was completely outlawed in Singapore – a law that came into effect after an incident where some was stuck on a door sensor, disrupting commuter train service. After some intense lobbying by Wrigley, the ban was eased allowing the sale of gum for ‘medical purposes’; essentially whitening or nicotine-gums. To save yourself the hassle of getting a prescription to buy a packet, simply bring two with you. Two packets of gum is the legal limit, although it’s up to customs officials if they want to confiscate any amount. And please, don’t chew where you’re not supposed to. On public transportation fines begin at $500 USD. The only place you should spit out your gum is directly into the garbage. (Speaking of spitting, don’t do that either unless your saliva is worth $200.) Littering of any kind (smokers: cigarette butts are trash) carries a $1,000 USD fine, in additional to potential community service. So, if you don’t want to be picking up trash publicly during your visit, discard your junk properly. Having any amount of a controlled substance (pretty much any recreational drug not alcohol) on you is serious business in Singapore. At the lowest amounts, you can be caned plus fined for drug possession while being in the presence of larger amounts has mandatory death sentences. Not traveling with drugs is pretty generic common sense, even if you have dreads, but be aware that showing up high at the airport is considered possession in Singapore. Yo, like dude, how would they find out you’re wondering? Random drug screenings at Changi Airport. Like, for real man. Literally. Although it’s probably one of Singapore’s least enforceable laws, public toilets must be flushed. The $500 fine might also help relieve you of your bathroom OCD, or you can simply learn to kick flush. 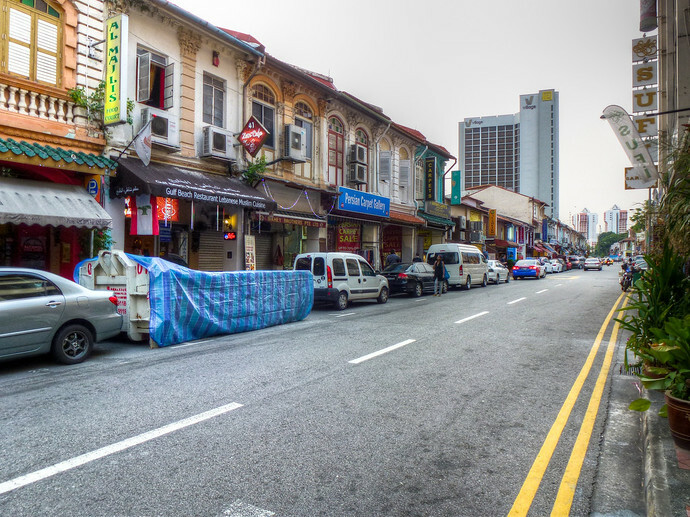 Jaywalking laws are however well enforced in Singapore. Police often (covertly) monitor random crossings and hand out $15 fines for first time offenders. Once you see a ‘no jaywalking sign’ and repeat penalties listed in the thousands staring back at you from across the street, you’ll be convinced to walk a few extra steps to cross in designated places. There are a number of other laws (or to be fair, their punishments) many tourists have found unusual or absurd in Singapore. Remember, you’re subject to a country’s laws when you’re there, whether or not you know or agree with them. Besides, you shouldn’t be littering anyway, most of us have little sympathy for people who can’t clean up their own mess. Honestly, I haven’t heard of being fine for not flushing but most of us do flush our craps, well, unless the flush system is spoil of course. Lastly on the jaywalking, access the situation, do it but just don’t get caught. Whilst some of these punishment seem a little harsh and in many ways a little strange I do have to respect their effort in creating a better place to live, these laws are not exactly things that are hard to stick to if you have some respect and are things so often flaunted back here in the UK which can end up feeling like you live in a dump at times. It can bring the whole place down and create a culture of disrespect instead. They’re definitely not hard rules to live by and I’ve got a bit more about the logic of Singaporean punishments in a post this Thursday. I’ll be interested to hear your feedback. 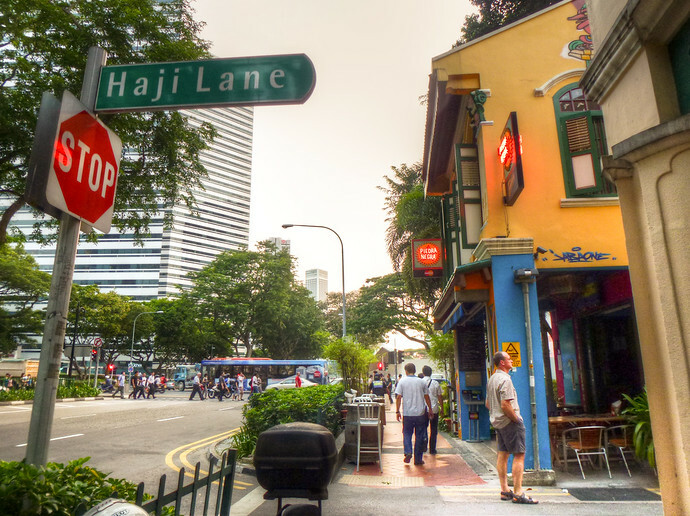 There are always rumors and stories about fines, jail time and death penalties in Singapore that may put off travelers so it was interesting reading this article. I actually didn’t know that they abolished the gum law in 2004. I still thoroughly enjoyed my two visits to Singapore and found the strict laws only made me feel safer. There’s a lot of “someone got caned” that bubbles to the surface of the news but those are usually punishments for more serious crimes, which aren’t elaborated on. 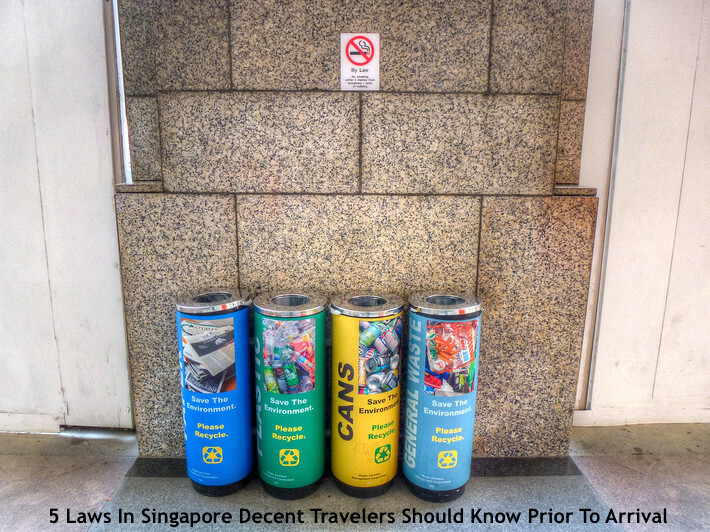 Indeed, it’s vital to understand Singapore’s laws before traveling there… It can get pretty rough in some cases. Don’t bring durians to public buildings, metro, bus etc. Don’t hug anyone without permission. It’s funny, just this morning I was complaing about how Australia has too many laws and then I read about poo laws… yep. Not feeling so annoyed now. Thanx for the tips will help me in my next vacation.